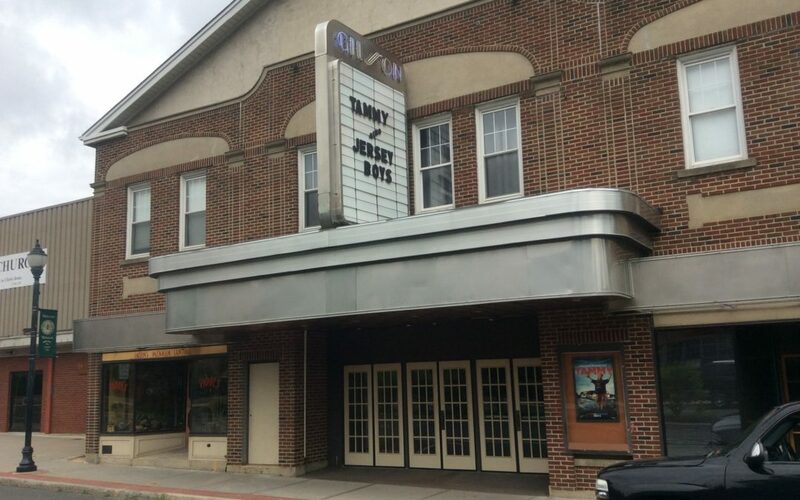 Dear readers, northwestern CT has a gem for those of us who love the cinema, drink, and food. As the song goes, “These are a few of my favorite things”. The Gilson Cafe and Cinema opened in 1985 at 354 Main Street, Winsted, CT. Many have attempted to replicate this unique establishment, but none have been able to capture the charm of the original. The Gilson won the coveted Beerman Best Date Spot for 2017. It simply makes dating easy. Think about this, dear readers… how do you impress a companion on a first date? Easier than it sounds, take them to a unique experience. The Gilson Cafe and Cinema’s offerings of drink, food, and movies with delightful wait service creates an experience difficult to duplicate. There is true value in selecting the Gilson. For the cost of a dinner at a traditional restaurant you get everything listed above. You can be a hero without breaking the bank. Dating is nerve wracking to say the least. Concerned about awkward conversation during dinner? Gilson Cafe and Cinema has you covered. The Gilson opens for food/drink service at 6 p.m with the movie starting at 7 p.m. The lights go down just as you run out of ways to describe how wonderful you are. As an added bonus, drink service – or “relaxing juice” – continues during the feature. Once the movie is over, your charm factor goes up 10 points and you are ready to continue, or perhaps save, the evening. Beerman Dating Tip: to truly impress your companion, continue the evening’s adventures with a pint at the new brewery which is soon to be a short stroll down the road, Little Red Barn Brewers. This creates a perfect opportunity to hold hands and perhaps a first kiss. Beerman has perfected the timing required to make the Gilson date night a first-rate experience. Arrive at 6 p.m, order a drink, and have a casual conversation. According to a recent poll, good topics are politics, religion, and your ex. Around 6:30 p.m., place your dinner order. The meal will come out just as lights go down, and your date won’t notice what a slob you are while eating. This advice only works if you go to the restroom prior to the closing credits to make yourself presentable. According to studies at Beerman University, following this advice will reduce evil glares by 25% and increase chances of a second date by 50%. Speaking of dinners, the cafe has a menu that has something appealing for everyone. It’s full of reasonably priced appetizers, salads, soups, and sandwiches. During a recent visit my taste buds were treated to a cup of chili, shrimp cocktail, and the Main Feature starred a hot and spicy sausage patty with an award-winning supporting cast including sautéed onions, roasted red peppers, and provolone cheese served on a hard roll. It may be an artery-filling meal but oh, it was so good. No evening is complete without chocolate sauce, whipped cream, and ice cream. To complete your visit to the Gilson, Beerman highly recommends trying any of the delights listed on the menu. You have the choice of Hot Fudge Brownie Sundae, Carrot Cake, and Cheese Cake. Another Beerman Date Tip: nothing makes a person more desirable than anticipating your partner’s needs. A study sponsored by Dessert Institute of America concluded that in reference to desserts, “no” does not mean “no”. It simply means, “I’m trying impress you with smart food choices, but good god get me cake and ice cream!” How do you overcome this dilemma? Very simply. Order the dessert that you believe your companion would want, and ask for two spoons. This will allow your companion to indulge without the guilt. I believe this behavior will be an aphrodisiac for your date. Trust me, I’ve been married twice, I know things. How do you plan the perfect date night? Simply follow these rules. Pick up your date with flowers, go to the Gilson Cafe and Cinema for dinner and a movie, and then go .5 miles down the road for a pint at the Little Red Barn Brewers, opening this fall. The LRB cannot take any responsibility for the unknown outcomes for those who follow this sage advice. What is that I smell? Oh I know, it’s the Love that’s in the air. Stay tuned, dear readers, for upcoming spotlights.